The medicine of Grace to wipe out our sorrows is to develop unshakable faith in God and tolerance . Bhakti alone can give us the capacity to put up with sorrows. Temples are the agencies for developing that Bhakti. Hence, the need for temples at all places. All offerings to the deities in the temples are tokens of our gratitude to God. Many acts relating to God, like building temples, digging tanks are performed. While executing them, there would be many difficulties. There would come also several kinds of dishonour. Not minding any of these, they would complete their tasks with mental one-pointedness removing impurities from their minds and letting the mind wander. By straightening their mind, they acquire mind control and at the end, they realise the Reality that is to be known. Digging tanks, building temples and such other acts are called poorttam. The performance of sacrifices, etc., is known as ishtam. Combining these two, we have the word Ishtapoortam. What is the purpose of human birth? To earn, to eat, to undergo misery everyday and finally to die? Instead of earning and suffering, can we not die now? The purpose of birth is to avoid re-birth. Except man, all animals grow horizontally. Only man grows vertically. Instead of growing horizontally, it is God's will that he should grow vertically in order to look up. God has given to animals devices for self-protection; to man alone He has given intelligence. By practicing attached -detachment , we avoid re-birth; By giving up pleasure, we avoid sins. True Bhakti or devotion is that condition of a devotee’s mind when it is unable to bear even a moment’s separation from the shelter of God, and when even if is forcibly withdrawn from that shelter, by force of circumstances, it struggles and rushes back.. There is a two letter word (in Tamil) which will anhilate all the sins. The two letter word is “SHI VA”. Like the mahalingam in the shrine and life the Pranan (life force) of our body, the word siva is the quintessence of all the Vedas. This two words Shi Va is called the JEEVA RATHNA . When we meditate upon this we can conclude that the center of the existence , the supreme consciousness is in the form of shi va. This is why great people identify the existence nothing other than as the form of shiva (shivaswaroopam). 1.) Application of Vibhoodhi (holy ash). 3). To do the Panchatchara Mantra Japam (if inducted by a Guru) or utter the word “Siva-Siva” as a Japam(in not formally inducted). 5. )Training the Mind to indulge in shiva dhyanam when not occupied by once primary duties. It is very much necessary for every women, who is contemplating marriage, to worship Ambal (Consort of the Lord Shiva). Rukmani worshipped Ambal to fulfill her desire of getting married to Shri Krishna. 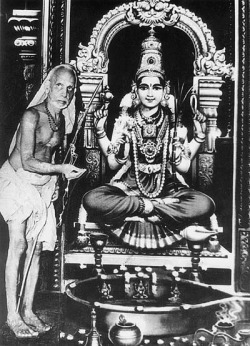 On worshipping Ambal , women develops Guru Bhakthi and Pathi bhakthi. This is the reason for which Rukmani worshipped Ambal. The relationship between Lord (Shiva) and Ambal( His consort) is like the Body and Soul . Soul is the Lord. Goddess Ambal is the Body of the Soul (Shiva). So said Adhi Shankara BhagavathPathal. 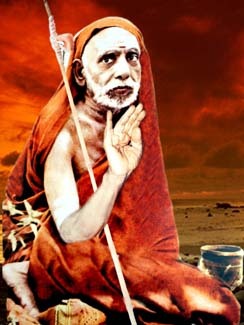 During the Pradhosha kalam every one should recite the sivanamasmarana. We should meditate upon the two words SHIVA. Every day evening there is a prashosha kalam. On the day of Thryodhasha falls the Maha-Pradhosham. One can take a sankalpa to utter atleast 5 minutes daily during the pradhosha kala to recite and meditate these two words. One can also take a Ayul Paryantham sankalpa, by means of which one keeps reciting and meditating on these two words for his entire life. On heating ghee , it looses its colour and form. After some time when it is left to cool it once again take a form and color. Lord Shiva is arupam, formless, so says the Vedas. But when a bhaktha , out of his Prayer, immense love and devotion, pleases the Lord , the lord manifests in a form ,so as to bless his bhaktha. Nolumbur Sri Meenakshi Sundareswarar Temple . !